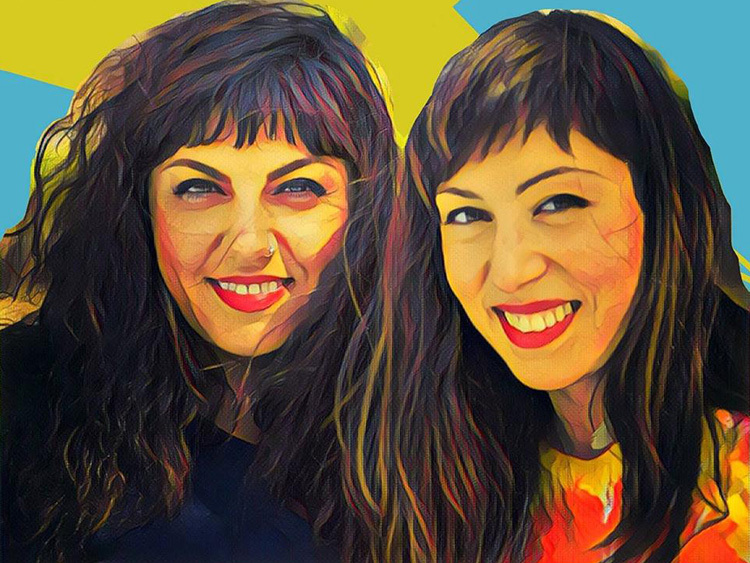 ABJEEZ (slang for sisters in Persian) was initially formed in Sweden with older sister Melody writing lyrics in Persian also known as "Farsi" and Safoura composing the music. Their lyrics often carry humorous and subversive cultural and political messages. Their genre of music has been described as a blend of soul rhythms with reggae, rock, ska, and flamenco. They sing mostly in their native Persian, with a few exceptions in Swedish, Spanish, and English. The most consistent subject matters voiced in Abjeez music are issues related to gender, women's rights and youth in Iran. Their debut music video Eddeaa (meaning "Pretension" in English) was nominated in the short film category at Tribeca Film Festival in New York in 2007. It was also selected as the best music video of the year at Link TV’s world music channel in 2007. The band has performed in various music and film festivals such as the Rotterdam Film Festival in the Netherlands. Abjeez have been described by various commentators as one of the most successful Iranian music groups of the 2000s, performing at sold-out concerts across Europe and North America, including at the legendary Roxy Theater in Los Angeles, California in December 2010.